Of course you have to share this exciting news with the world. While it might seem easy and tempting to put a status update on your Facebook, trust me it’s not a good idea. You parents and immediate friends and family would want to know it before your dentist! So pick up the phone, call your family members and friends. All of them! Tell your closed ones the exciting news yourself. After you have done that announce it on Social Media together. You can take a picture of your couple with ring at the place where you proposed and upload it with the exciting news. The stunning sparkler that you just gave your now fiancée is perfect in every way. However, it might be a little loose or a little tight as you could not take her ring size and remove the surprise of proposing. So, now that the proposal part is taken care of, get the ring resized for her as soon as possible. After all, she has to show it off to everyone and it should fit perfectly on her finger. Don’t worry! The ring can get resized within a few hours or a few days at most. If you haven’t bought your ring yet, you might want want to check out some of the guides found on Beyond4cs.com about cushion cut diamonds or round diamonds and get step by step instructions to help you pick the best stone. Of course your sentiments about your engagement ring are priceless! But you did spend a fortune on the dazzling rock on her finger. A practical approach for the peace of both of your minds is to get your prized possession insured. You can contact your or hers current insurer, that takes care of your homeowners’ or renters’ insurance. For this you may have to get the ring appraised officially for this purpose. Call your insurance broker to get the necessary paperwork done. Many couples forget this very important thing in all the excitement of their marriage, don’t be one of them. When you’d share the news of your engagement with your closed ones and friends, the first thing they’d ask would be to see the ring on your fiancée’s finger and next would be when are you two tying the knot. So be prepared beforehand. Sure you just got engaged right now and when you want to get married, is totally you and your fiancée’s decision. But it is better to have a general understanding. Talk to your fiancée and decide on a vague but still specific timeframe. It can be next year fall, or the later spring. Just keep the important people of your life in the loop for your marriage plans. They will mark your answer in their mental calendar. This is a great turn of your life. You have chosen to live with this woman for the rest of your life. Enjoy this time with her. Yes, you have to plan a dream wedding together. But it also is the time to cherish the feelings of being committed to your soul mate. So, spend some romantic time together with your fiancée. It can be date nights or just a stroll in the nearby park. In these romantic dates, make it a point to not talk about all the stressful wedding plans. Just seize this moment and enjoy the now for a while. If you have been putting off your plans for health and fitness for so many years, now is the time to start them. If you are on the obese side, do not wait till the last moment to lose weight. Now is the best time to start working out. Watching what you eat is a good idea too. Even if you are perfectly fit in terms of weight, taking extra care of your health, getting active and toning up those muscles will benefit you. Not only your wife-to-be will appreciate the effort, it’ll boost your stamina too. And, trust me; you’ll need this boost in stamina to keep things up in bed! 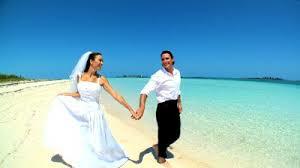 Besides, this is the time to start a new life with your wife, do it in the best possible way. Now is the time to get serious about life. Organize yourself. You don’t want the messy life of bachelorhood, which is why you decided to settle down. Now, to plan your wedding, get a wedding planner. It needs not to be a person necessarily. It can be a datebook, an iPhone app, a calendar or any other type of device that can help you get organized. Fill it up with your ideas for the wedding, both you and your fiancée’s ideas. Also, create a timeline for major tasks related to the wedding. Do not feel bad if both of you change your mind several times; this is why planning is done. 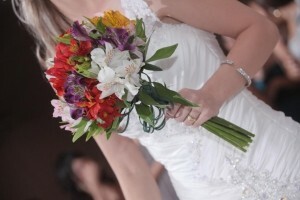 To make your dreams come true in a perfect wedding! You may get carried away while dreaming for your big day and your whole life. But, think about it, practically. No one wants to keep paying for their wedding for so many years after the wedding. You have your whole lives ahead of you to spend on. So, make a realistic budget for your wedding events and start saving for it today. It is better to wisely spend on what you can afford and save the rest for your rest of lives together. So, sit down with your fiancée, have this practical talk with her, make a budget and set up an account for your wedding’s savings. Talk to your and her parents about their guest lists. Before deciding what number of guests you would want in the wedding, it is best to talk to your parents about the people whom they’d most want to invite. This list has to be just on paper and not set in stone. You can add, cut and edit this guest list later. Tell your folks to break their guest list into tiers, their will help you prioritize the more important people and trim the ones that are least important, according to your budget. Celebrate and enjoy being engaged! Yes you have yet to pick a venue, and shop for dress and what not. But, that doesn’t mean you have to stress yourself out for all this planning. You just got engaged and this calls for a party. This is a magical phase. This time is all about having fun and spending time together. Think about all the reasons why you have decided to spend your lives together and the amazing future you can have together. Your aim should be planning your wedding wisely while enjoying this engagement life with your fiancée as much as you can. 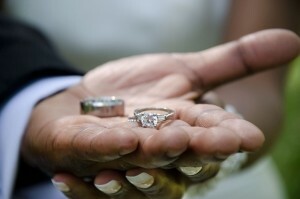 Do not forget to get your precious ring insured as you may forget this among all the excitement of getting married. Also, plan ahead so that both of you have low stress as the wedding approaches.